We are a well known firm involved in the provision of Wooden Salad Bowl Made using premium quality wood, it is used for storing salad. With our firm commitment to quality, we are engaged in presenting an enormous quality range of Mahogany Wooden Bowl to our clients. We manufacture these products in compliance with set market quality standards and norms. Besides, these products can be used to serve soups, desserts and salads. 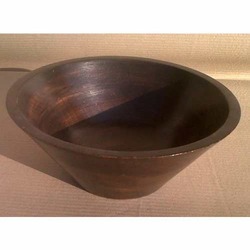 Wooden bowl is a very useful product and it is distinctively unique by its appearance. Wood is naturally beautiful, warm, and quite utilitarian. So any product made from it, needs very minimal care and last way past one's lifetime. Individual differences are normal since it is not manufactured and comes directly from nature. 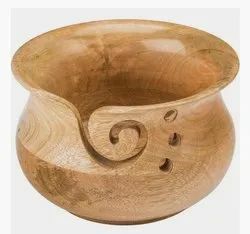 Wooden salad Serving Bowl.Serve up your favorite salads and snacks in style with this medium sized bowl finely carved from one piece of solid acacia hardwood.